A chicken vendor waits for customers in a market in Fuyang in central China's Anhui province. 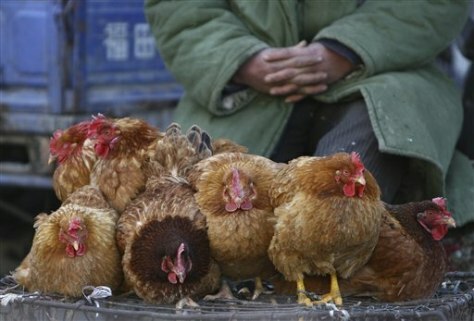 China's Health Ministry said Saturday a fourth person has died from bird flu this year. A 31-year-old woman died Friday in Urumqi, the capital of the Xinjiang region in the country's far west.